Expect Kung Fu Kenny to make an appearance, as his love for the martial art weaves its way into the show’s choreography and visuals, including the appearance of one sword-wielding dancer. No Kenny’s will be harmed. Kendrick’s performance game has gone from strength to strength since his early tours; with this has come an upgrade to his backdrop. Think: glowing props, giant screens, heaps of special effects and a whole host of ninjas. An arena-level spectacular. 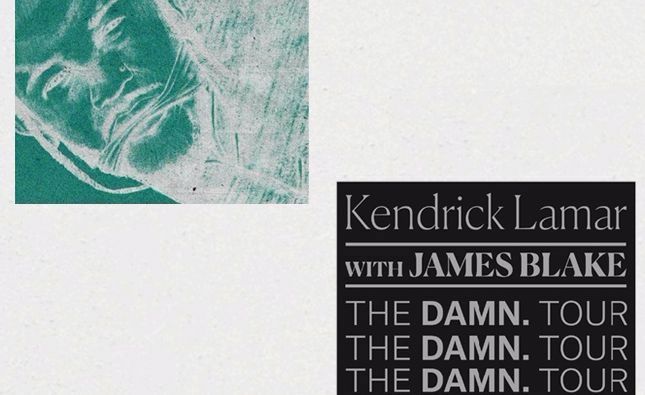 When Kendrick kicked off this tour in the US, the audience hadn’t had a lot of time to learn the words to the new stuff. That didn’t stop some epic acapella sing-a-longs from taking place, with Kendrick watching over his audience like a proud father. We’re expecting word-perfect renditions from the UK crowd. Judging from past performances, the set list promises to be the perfect mix of old, new and backseat freestyles. Kendrick might throw in some surprise covers and switch up the DAMN. tracks, but you can bet you’ll hear the classics too.